Penny's Writing Awakenings : September - Padlet, What a Tool! September - Padlet, What a Tool! Part of the reason I love Inspired Learning so much, is that I constantly leave feeling inspired. One of the tools we were introduced to was Padlet. This is Wallwisher aka an electronic planning page, idea storage house for students. As we are transitioning into the new Lucy Calkins materials this year, I am having to change how I teach/think about teaching. This tool became of immediate use as we embarked on Lucy's first book. The students needed to generate a list of ideas/small moments that they could turn into a realistic fiction story. Instead of doing this planning in their notebook, I had them do it on Padlet. It was a huge success. Not only does Padlet link to their Google accounts so they don't have to register, but it will house this idea wall for the rest of the year so they can always refer back to it for ideas. There is no losing it or misplacing it, it is housed at all times online for their individual use. It also helped some of my students to generate more ideas because they weren't caught up in the pencil/paper work. They were able to click and add a new idea immediately. I am excited to use this tool moving forward as a successful option for student planning. I am excited by the work they have done so far, and I can't wait to see the stories that they generate from this first brainstorm of ideas. So glad that you found success with this tool. Pretty impressive that it sounded like it was fairly easy for 4th graders to use. Great idea to use as a brainstorming page. Thanks Dana, I love learning about all of these new tools, keep them coming! 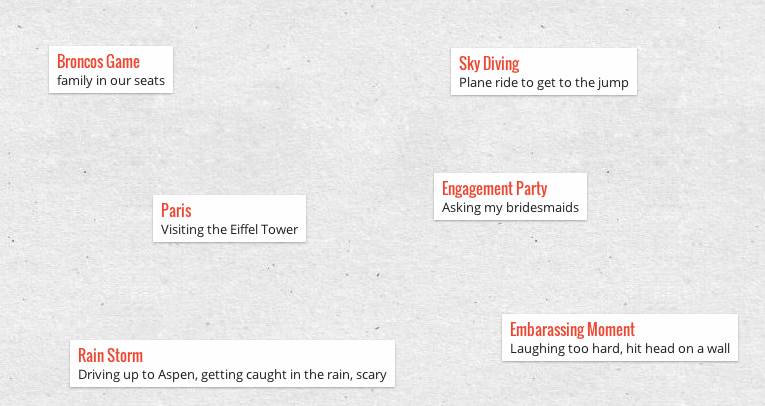 I like the idea of using Padlet to house students' writing ideas for the year. It's great that it doesn't get lost. I thought about using Padlet to do an exit slip for kids, but I've haven't tried that yet. I think I will try using it as a brainstorming tool, though. I think using it for an exit slip is a great idea. You could just have them do a new box for each exit slip so they are all housed on one page as well. I feel like this is a good storage tool that they enjoy using! Good luck, let me know how it goes. That is a fantastic idea! I am thinking back to my students paper and pencil creations and the issues that surrounded that format and thinking that I may never do that again! We learn so much through trial and error. I love knowing that this tool worked great for my group this year, but my group next year might function on a completely different level. At least this keeps it simple and organized which many of our friends need, especially when brainstorming!